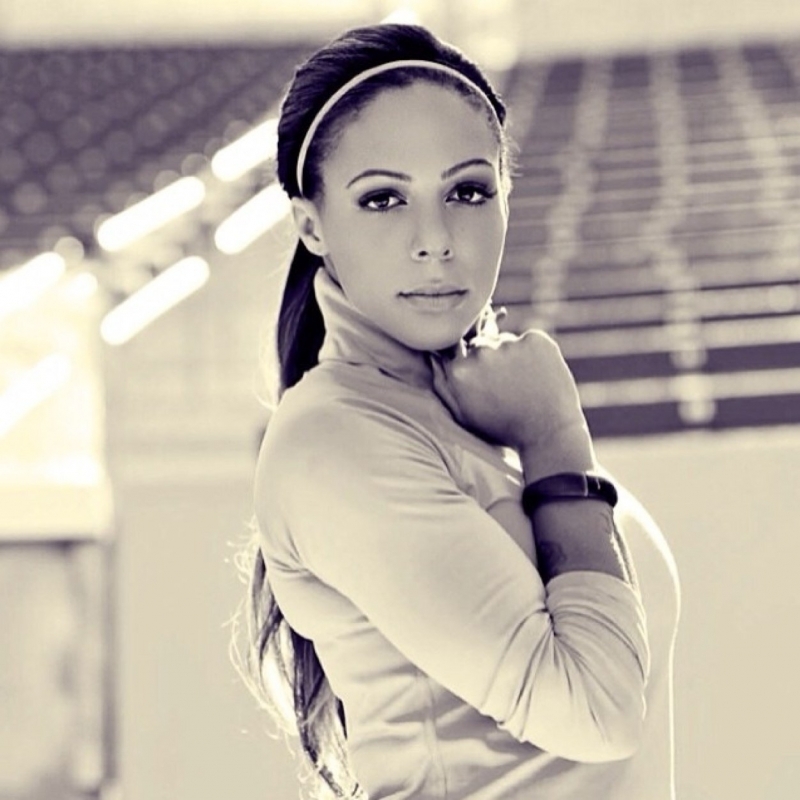 Sydney Rae Leroux Dwyer is a Canadian-born American professional soccer player and Olympic gold medalist. As a forward, she currently plays for the Western New York Flash in the National Women's Soccer League (NWSL). After representing Canada at various youth levels, she chose to play for the United States women's national under-20 soccer team starting in 2008 and later began playing for the U.S. senior national team in 2012. Leroux has earned over 50 caps with the senior national team and was part of the Americans' winning squad at the 2012 London Olympics. Leroux played collegiate soccer for the UCLA Bruins and at the semi-professional level for the Vancouver Whitecaps. She made her debut for the Whitecaps at the age of fifteen, becoming the youngest player ever to play for the team. Leroux was the number one pick by the Atlanta Beat during the 2012 WPS Draft on January 13, 2012. Following the suspension of the league in early 2012, she played for the Seattle Sounders Women during the summer of the same year. She made her professional debut for the Boston Breakers in the NWSL during the league's inaugural season in 2013 before being traded to Seattle Reign FC in 2014. Leroux was born in Surrey, British Columbia to a Canadian mother, Sandi Leroux, and an American father, Ray Chadwick. Her mother played third base for the Canadian national softball team. Her father was a professional baseball player who pitched briefly for the California Angels in 1986. Coming from a family of baseball players, Sydney played baseball for Whalley Little League from 1994–2004. Leroux was raised primarily by her mother after her parents split when her mother was three months pregnant with Sydney. During her freshman and sophomore year of high school, Leroux attended Johnston Heights Secondary School in Surrey where she was the leading scorer on the soccer team. Also a track and field athlete, she won Provincials in the 4 × 100 metres relay with her team. Leroux played three seasons of club soccer with Coquitlam City Wild, helping the team to Provincial Cup Championships in 2003, 2004 and 2005. Leroux's prolific goalscoring helped the team win the under-14 national championship in 2003. She secured a bronze medal in helping the team finish third at the under-16 national tournament in 2005. Leroux became the youngest player to play for the Vancouver Whitecaps of the W-League at the age of 15. She also won a championship as part of a British Columbia select team at the Canada Games in 2005. Leroux stated that at a very early age, she knew she wanted to play for the United States women's national soccer team. To pursue her goal, she moved to Scottsdale, Arizona at the age of 15 and attended Horizon High School during her junior and senior years while living with multiple host families. Despite having a challenging time adjusting to life without her family and friends, she helped lead Sereno Soccer Club to state titles in 2007 and 2008. Of her move to the United States, she said, "It was not easy. It was probably one of the most difficult things I ever had to do, move away from everything that I knew and was comfortable with to something that I had no idea about. Not having any family around. Doing it on my own. As a 15-year-old, that's kind of hard. I had to grow up really fast [...] But I guess it's all worth it. Now I have a chance to prove myself, and that's what I enjoy, and that's why I did what I did." Leroux played collegiate soccer for UCLA from 2008 to 2011, under head coaches Jill Ellis (2008–10) and B. J.
Leroux played for the Vancouver Whitecaps during the 2005 W-League season, becoming the youngest player to ever play for the team aged 15 years and seven days. She returned to the Whitecaps for the 2011 season. She ranked second in the league for goals scored with 11 finishing the regular season with 24 points in 11 appearances. After helping the Whitecaps advance to the W-League Championship Final Four with a goal during the team's 4–3 defeat of Santa Clarita Blue Heat in the Western Conference Final, Leroux was named to the All-Western Conference team. Post-season, she was named 2011 W-League Rookie of the Year. Leroux was the number one pick by the Atlanta Beat in the 2012 WPS Draft, though the league folded before she could play for the team. During the summer of 2012, Leroux joined fellow U.S. national team players, Hope Solo, Alex Morgan, Stephanie Cox, and Megan Rapinoe on the Seattle Sounders Women in the W-League. Sounders Women head coach, Michelle French, said of the signing, "Sydney is the consummate goal scorer with an incredible attacking attitude. She not only shows tireless effort on the offensive side of the ball, but she is very unique in that she prides herself on her defensive recovery and ability to win the ball back. She makes an impact no matter where she plays on the field." Due to her national team commitments and preparation for the 2012 Summer Olympics, Leroux made only two regular season appearances for the club. She scored two goals and served one assist in her 168 minutes on the pitch. With the national teammates' presence on the team, the Sounders sold out nine of their ten home matches at the 4,500 capacity Starfire Stadium. Average attendance during the 2012 season for the Sounders Women was four times higher than the next closest team. In January 2013, Heather O'Reilly, Heather Mitts and Leroux were the three United States national team players allocated to the Boston Breakers for the inaugural season of the National Women's Soccer League (NWSL). She scored her first goal of the season in the 91st minute of the Breakers' season opener against the Washington Spirit, tying the game 1–1 in stoppage time. Leroux scored the league's first ever hat trick during the Breakers' 4–1 win against the Chicago Red Stars on May 4 and was subsequently named NWSL Player of the Week. On July 3, she scored another equalizer against the Seattle Reign FC, resulting in a 1–1 draw. A few days later on July 6, she scored two goals against the Portland Thorns FC resulting in a 2–0 win for the Breakers in front of 12,436 fans at Jeld-Wen Field. Leroux's 11 goals scored during the season tied for second with national teammate Abby Wambach of the Western New York Flash. Lauren Holiday of FC Kansas City was in first place with 12. The Breakers finished the 2013 season fifth in the league with an 8–6–8 record. On November 18, 2013, it was announced that Leroux had been traded to the Seattle Reign FC for the 2014 NWSL season in exchange for Kristie Mewis, Michelle Betos and the Reign's first two picks in the 2015 draft. Ebullient Reign FC head coach Laura Harvey hailed the signing of Leroux: "One of the world's best forwards. 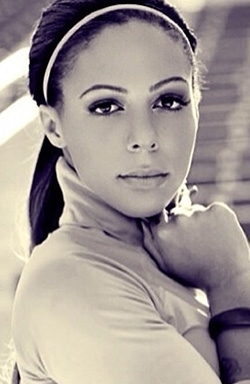 She is a young, extraordinary talent with unlimited upside. Sydney will be the consistent goal-scoring threat that we struggled to find last season." During the 2014 season, the Reign set a league record unbeaten streak of 16 games during the first part of the season. During the 16 game stretch, the Reign compiled a 13–0–3 record. The Reign finished first in the regular season clinching the NWSL Shield for the first time. After defeating the Washington Spirit 2–1 in the playoff semi-finals, the Reign were defeated 2–1 by FC Kansas City during the championship final. Leroux finished the 2014 season with five goals in 22 games played. In March 2015, it was announced that she was traded to Western New York Flash. By virtue of her parents' nationalities, Leroux was eligible to represent either Canada or the United States. Playing for Canada at the age of 14, she was the youngest individual to participate in the 2004 FIFA U-19 Women's World Cup, held in Thailand. She served as captain of Canada's under-15 team that traveled to Germany in 2005. Leroux received clearance from FIFA to change her allegiance to the United States in 2008 and went on to help the under-20 national team win the 2008 FIFA U-20 Women's World Cup in Santiago, Chile. She scored in the first half of the final against North Korea. She represented the United States at the 2010 FIFA U-20 Women's World Cup and ended her under-20 career as the country's all-time leading scorer in Under-20 Women's World Cup play with 10 goals. At the under-20 level, she is among the country's most capped players with 36 games and is the all-time leading scorer for the U.S. with 30 goals. In 2012, she was named the 2011 U.S. Soccer Young Female Athlete of the Year, playing for both the senior and under-23 national teams. Leroux played at the 2012 CONCACAF Women's Olympic Qualifying Tournament as a member of the United States senior national team. In her second cap for the senior side, Leroux scored five goals in a CONCACAF Olympic qualifying match between the U.S. and Guatemala; the final score of the match was 13–0. Leroux's performance tied the record for goals scored in a single match by one player in a CONCACAF Olympic Qualifying Tournament. She also tied the single-game record for the national team, equaling previous performances by her teammates Amy Rodriguez and Abby Wambach in 2012 and 2004 respectively. In 2012, Leroux set a new team scoring record as a reserve on the team with 12 goals scored off the bench in one year. The previous record of nine goals was set by Debbie Keller in 1998. During the 2012 Algarve Cup, Leroux scored the team's fifth goal in the 93rd minute of the U.S.' first group stage match against Denmark, in which the U.S. won 5–0. During the team's second group stage match, she scored the game-winning goal against Norway in the 81st minute. After losing to Japan in the third group stage match, the team defeated Sweden 4–0 to clinch third place at the tournament. Leroux was the youngest player and a goal-scoring member of the Olympic gold medal-winning team at the 2012 Summer Olympics in London. She scored the second goal against New Zealand during the quarter final match of the tournament helping the U.S. win 2–0. During the team's second group stage match at the 2013 Algarve Cup, Leroux opened the scoring for the U.S. when she netted a goal in the 13th minute. Her goal was followed by four others from her teammates resulting in a 5–0 win over China. The U.S. went on to win the tournament after defeating Germany 2–0 in the final. While playing in a sold-out friendly match against Canada at BMO Field in Toronto, Ontario in June 2013, Leroux was booed by Canadian fans throughout the match. 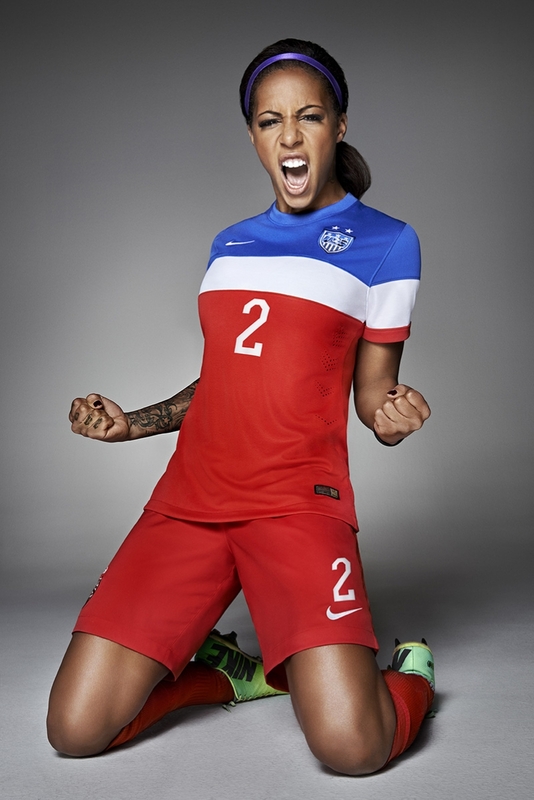 After scoring during stoppage time to bring the score to 3–0 in favor of the U.S., Leroux celebrated her goal by hushing the crowd and pointing to the U.S. emblem on her jersey which further inflamed many fans in the crowd. After the game, she stated via Twitter, "When you chant racial slurs, taunt me and talk about my family don't be mad when I shush you and show pride in what I represent. #america." The U.S. Soccer Federation announced that Leroux had "endured abuse both verbally and in social media" since switching to the U.S. national soccer team in 2008, however Leroux later clarified that no such incidents took place at BMO Field. "My tweet from this morning wasn't in response to anything from yesterday's match at BMO Field. In fact, the atmosphere at the stadium was a positive step forward for women's soccer. Unfortunately, the type of abuse I have received in the past and via social media for my decision to play for the United States is a step backwards. That is what prompted my response in the heat of the moment." 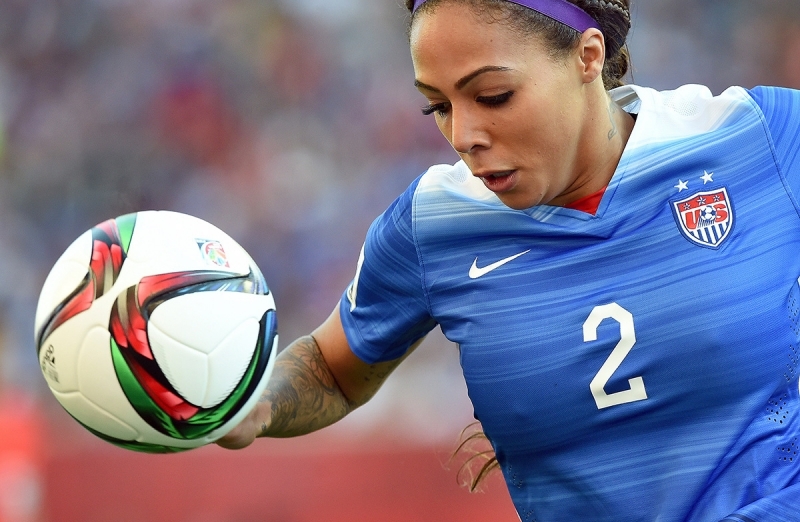 During a friendly against Mexico in September 2013, Leroux scored a hat trick in nine minutes, helping the U.S. win 7–0.